Battlefield Photographs of the G43 and Mp44 Rifle in Action! 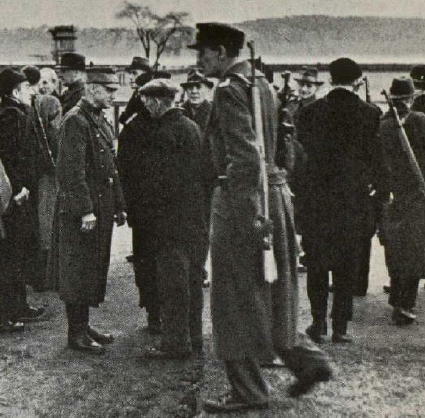 the following image is credited to Darrin Weaver, Hitler's Garands page 190. 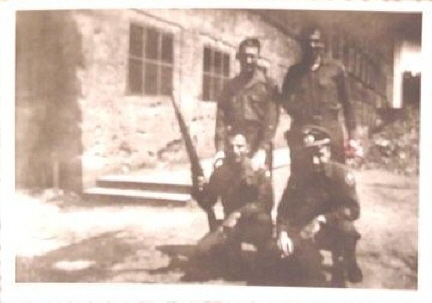 Another Eastern front photo. 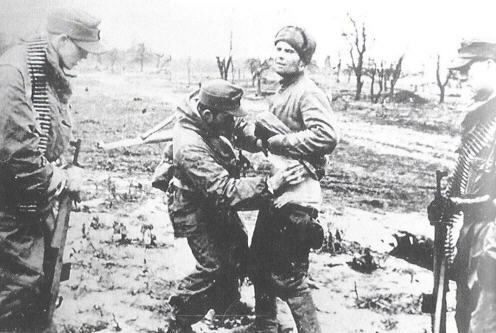 two soldiers armed with G43's look on as a Russian prisoner is treated for his wounds. 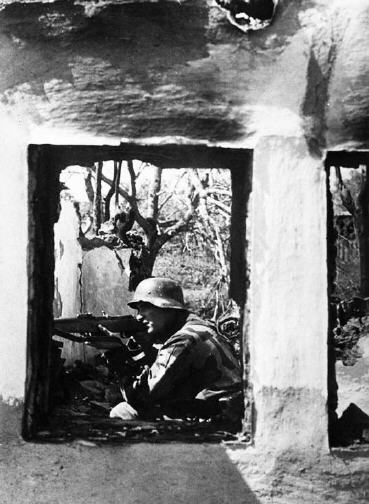 A fantastic photo dated 16.6.1944. a sharpshooter of Panzer Grenadiers "GrossDeutcheland" takes aim with his G43! here is a great photo shared by a member of the G43 forum, Tramuntanafeuer. 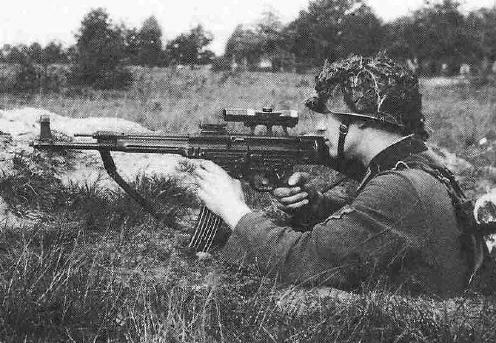 here we see Volksturm one of whom has a K43! 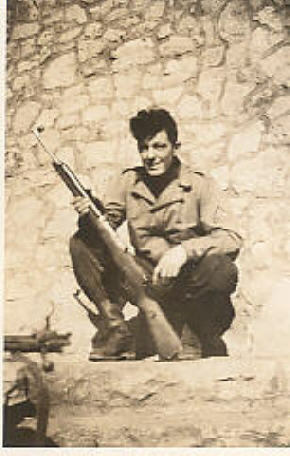 an excellent photo sent in By Robert Green of his father, Cpl. Ralph H. Green holding a Duv G43 he picked up in 1945! 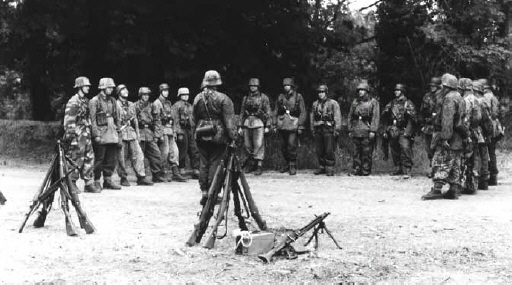 A great photo of an SS formation showing two groups of "stacked weapons" the rightmost group has a G/K43. 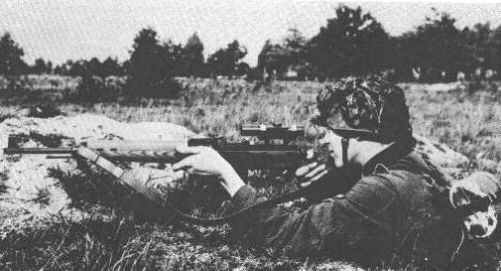 Two more of the famous images from the sniper training facility at Doberitz, Elsgrund. the first with a G43, the second an Mp-43. note the experimental zf4 mount with slanted struts. 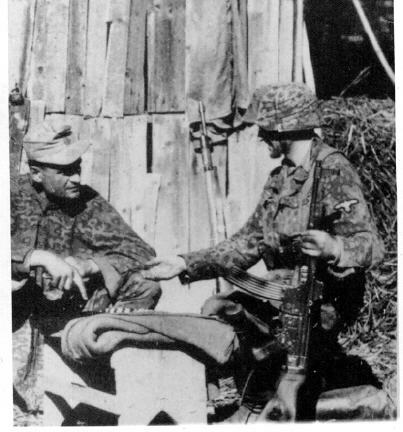 Here is an interesting shot of SS troops and an Mp-44.